ITO ANG HAPPY MEAL! 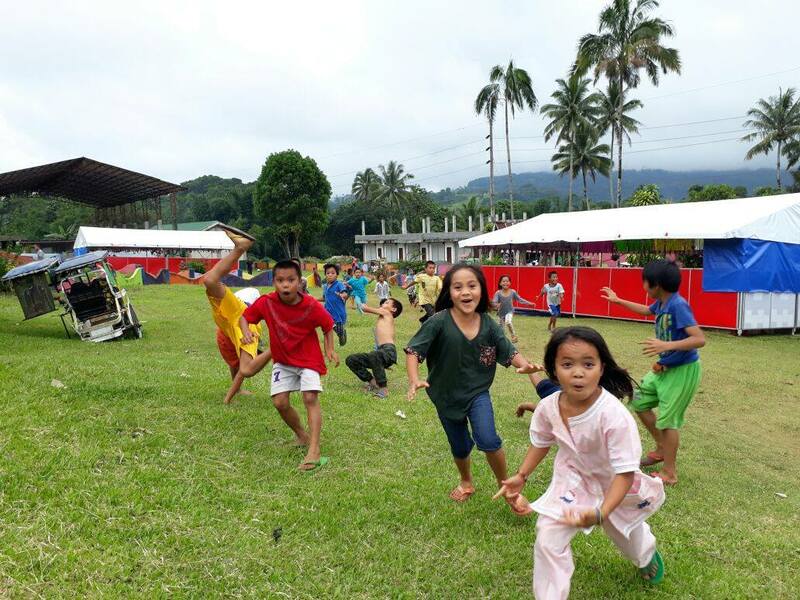 Today’s Menu: Malu-Veggie Mix Masayang pinagsaluhan ng 2,000 hyperactive bagets ng Marawi ang kanilang mainit na pananghalian ngayong araw. 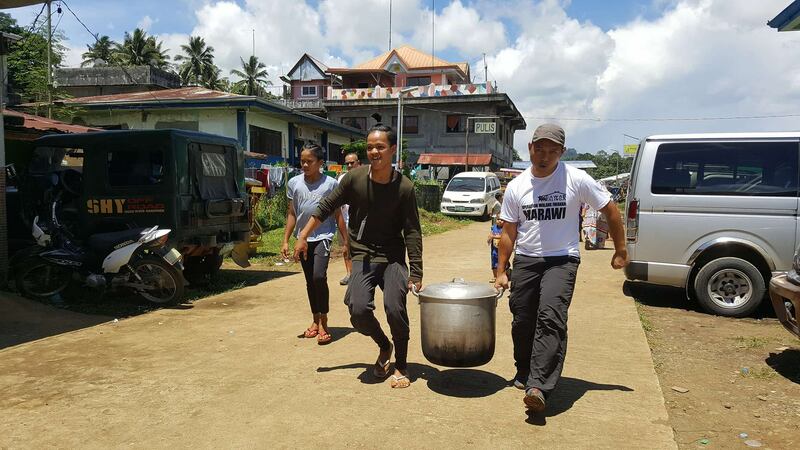 The Lady Blue EAGLES has landed to Kusina Ng Kalinga Marawi. 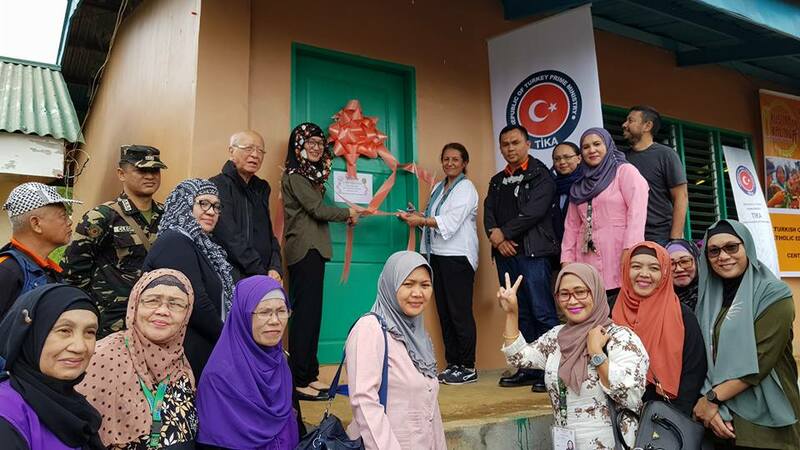 Launching and inauguration of Central Kitchen to feed 5,000 nutritional meals to school children daily in 15 public schools inside Marawi. Congratulations to Tito Noel Griño, Jose Luis Oquiñena, Mark Lawrence Cruz, Fr. Ben Nebres and to the entire Kusina ng Kalinga team! Mabuhay at saludo kami sa inyo! 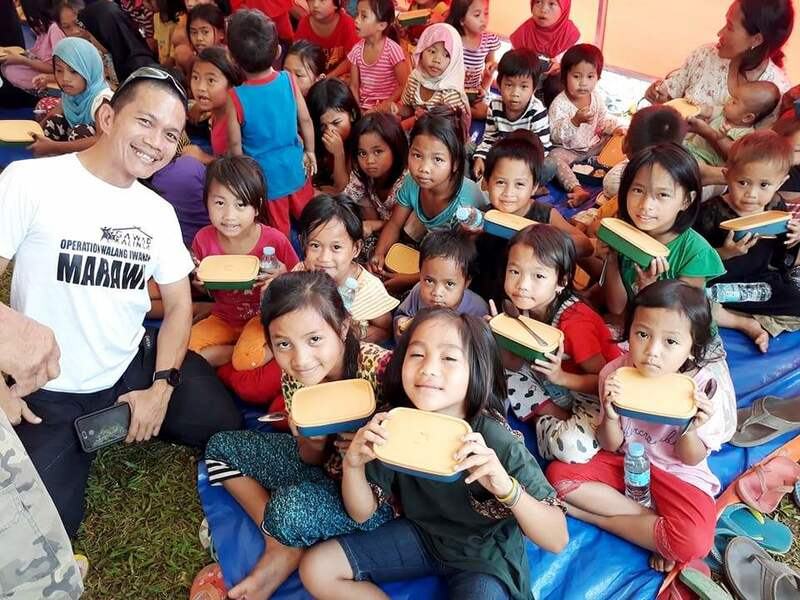 #KalingaMarawi: As we continue to #BeTheMessage of hope among our brothers and sisters in Marawi City, more acts of heroism arise. More hearts are brave enough to care and to share. 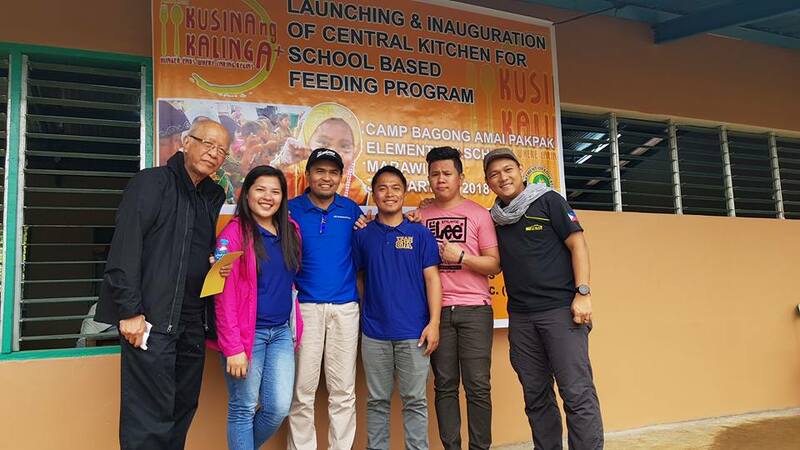 Yesterday, we started our bayanihan efforts through Kusina ng Kalinga in Camp Bagong Amai Pakpak Elementary School wherein we served 1,677 kalinga meals shared with seven schools. Together, let us be agents of change who will raise the peace generation. "We met with a band of teachers with extraordinary courage. 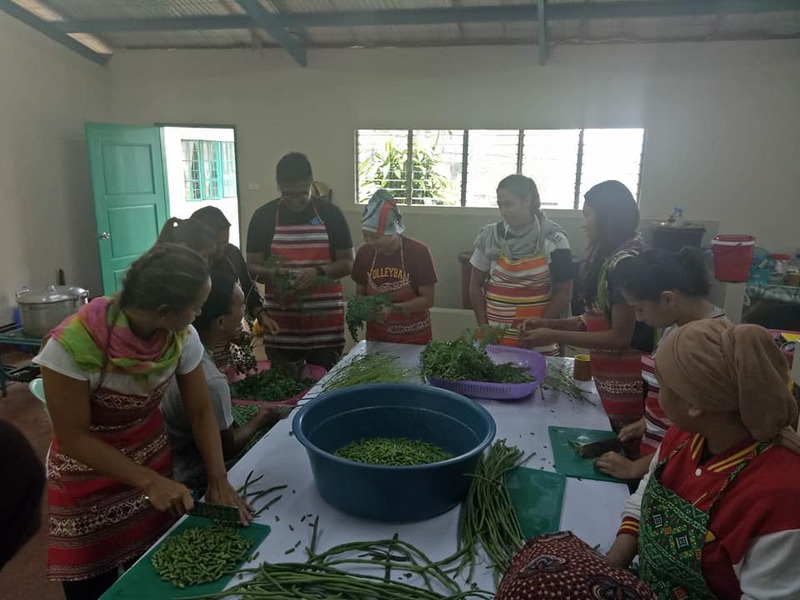 GK will establish our first kitchen in Marawi in Amai Pakpak Elementary School." Let us sweat for peace together! 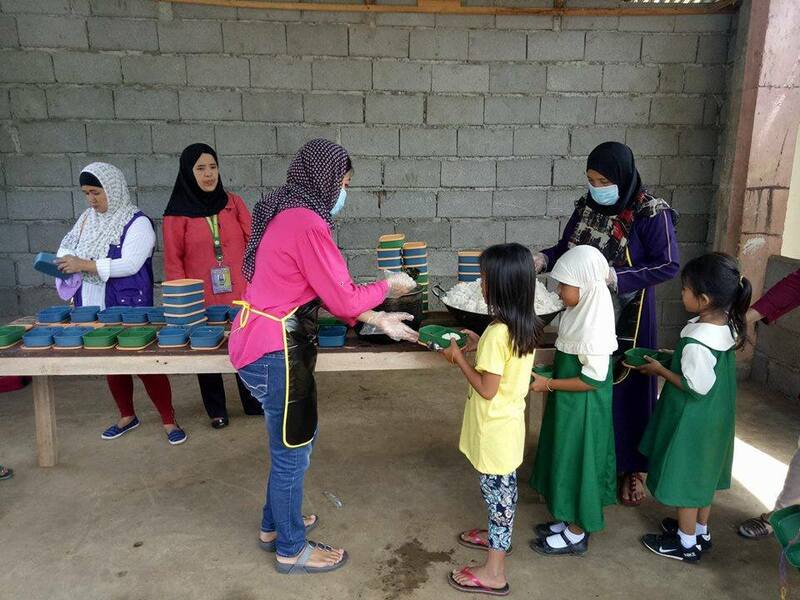 Help us rebuild Marawi by preparing making 5,000 peace meals for kids in Saguiaran. 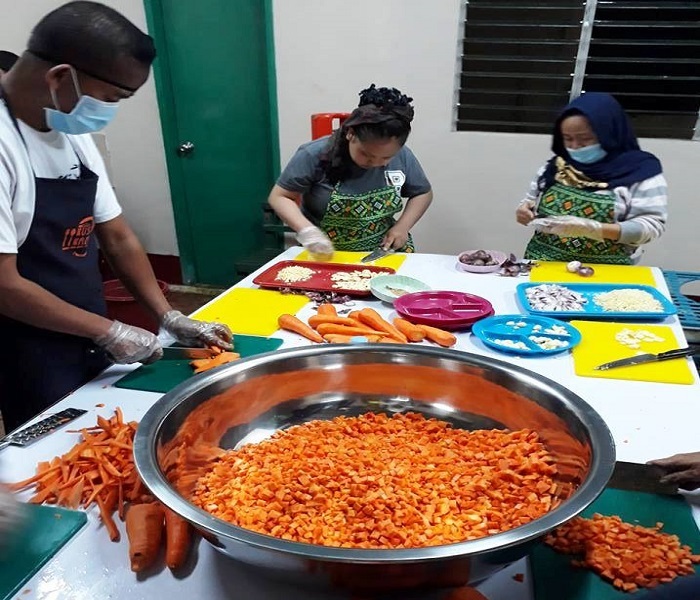 #ShareChristmas: Gawad Kalinga worker Marlyn Importante created #KalingaMoments with our Kusina ng Kalinga Saguiaran kitchen staff and volunteers and SipaG kids by sharing the gift of presence and joy. Be the message of boundless love. Give now at www.gk1world.com/MapagkalingangPasko. 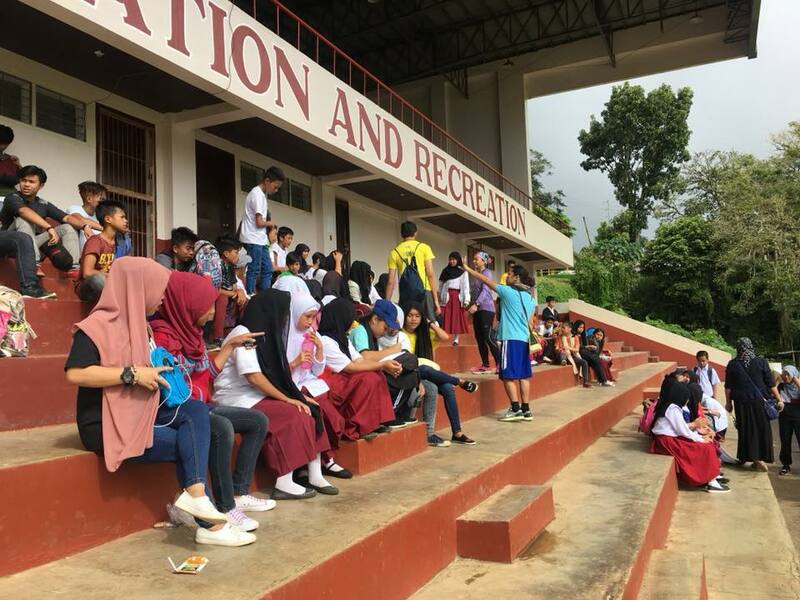 "Last week, the battle in Marawi ended. 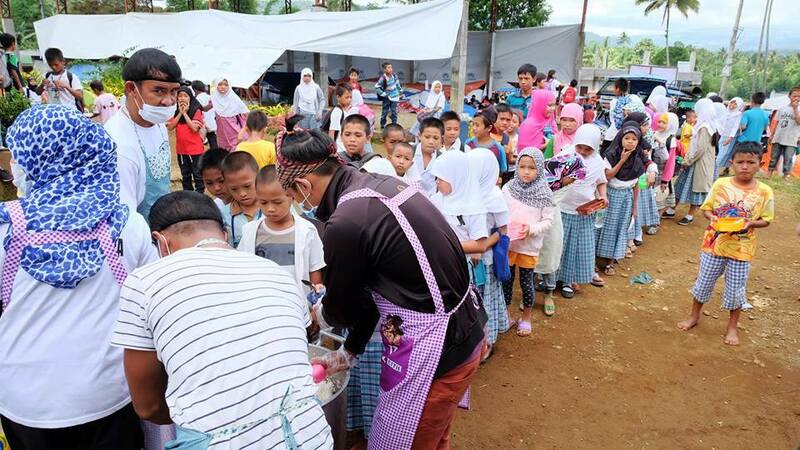 Last October 23,800 meals were served by Kusina ng Kalinga in partnership with DepEd-ARMM to ALL the students who have already resumed schooling in Mipaga, Bito, Rorogagus, and Pendolonan Elementary Schools in Marawi. Next week, we push on to the other schools that have resumed operations. The five months of death and destruction will now have to be reversed and made better by a long term commitment to care and share so that no one would be left behind." 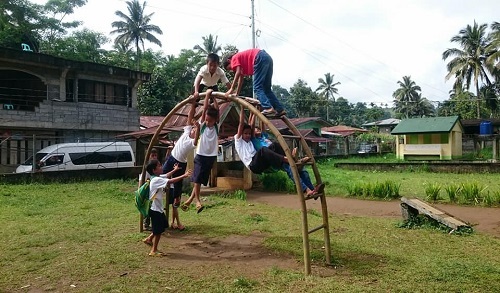 Join us as we continue the work of rebuilding hopes and dreams of the children in Marawi City. 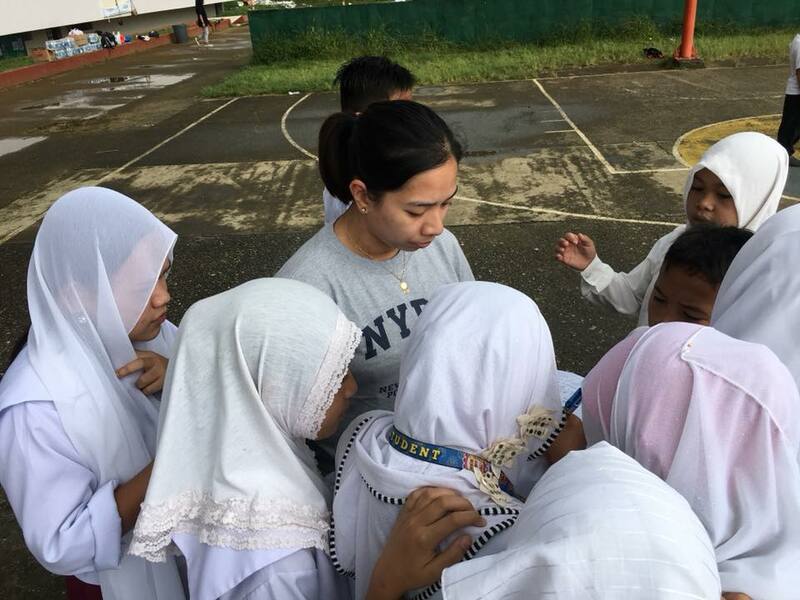 #KalingaMoment: "Spent the day visiting public schools in Marawi City that have resumed operations. Gone now are sounds of exploding bombs and guns firing. People are returning to their homes, traffic and trade are picking up, and schools are calling back their students dispersed during the siege. Today, I encountered hope face-to-face in the teachers and principals who never abandoned their posts even at the height of the siege. Hope was likewise palpable in our troops who continue securing this city and assisting its citizens. 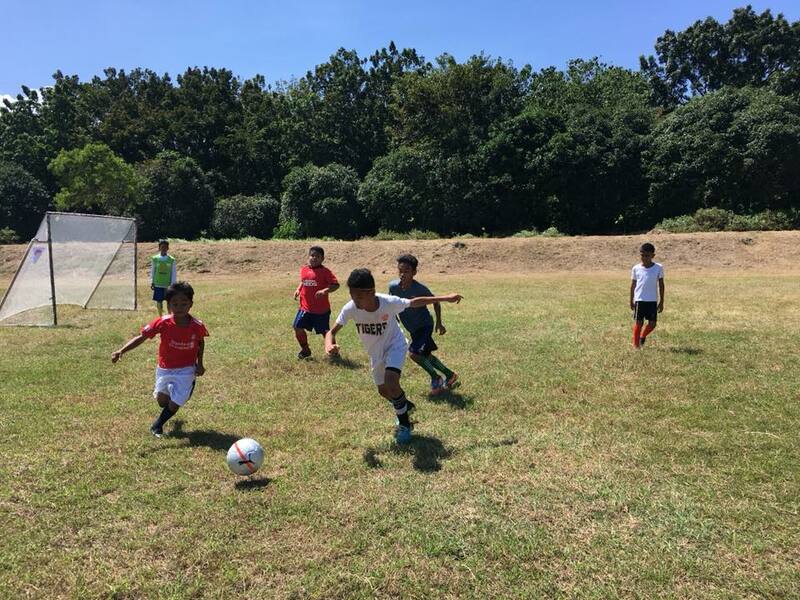 But hope was definitely strongest in the children whose laughter and cheers embolden us to keep on trying and believing that better days lie ahead. They above all give our risk-taking and striving its meaning and worth. 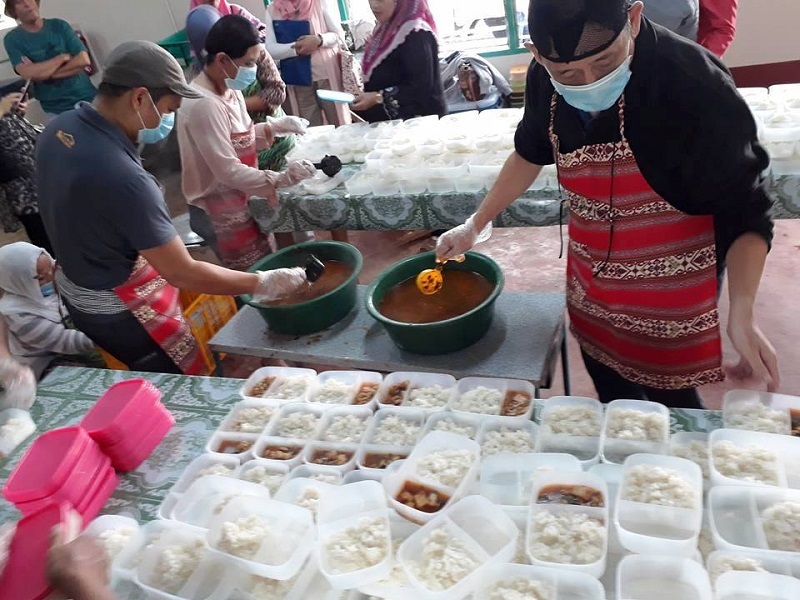 In a few weeks, Gawad Kalinga in partnership with DepEd ARMM, the LGU, AFP, PNP, and many other institutions will begin serving meals to 5,000 hope givers of Marawi. 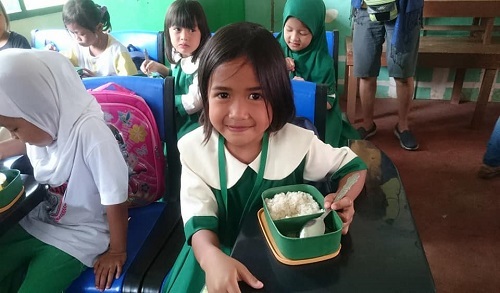 Where there are classes, there will be meals." 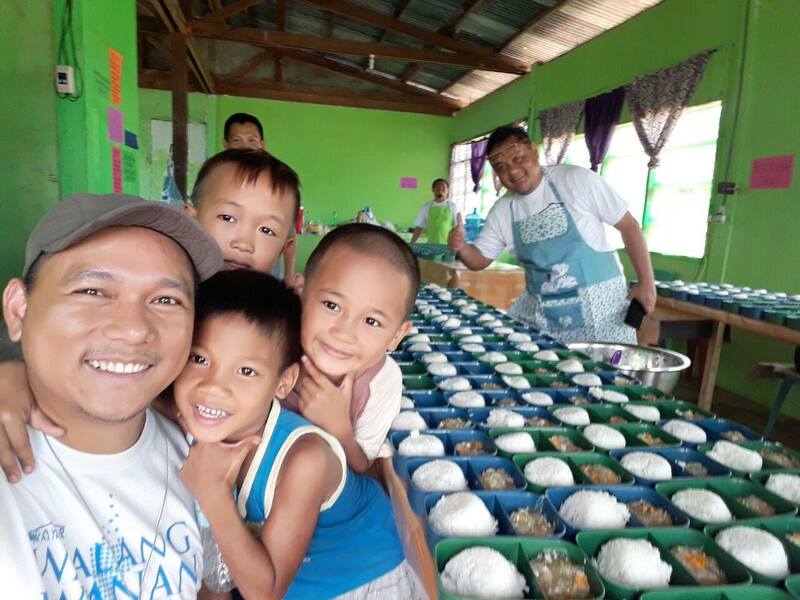 #KuwentongKalinga by Mark Lawrence B. Cruz, GK worker Hunger ends where caring begins! 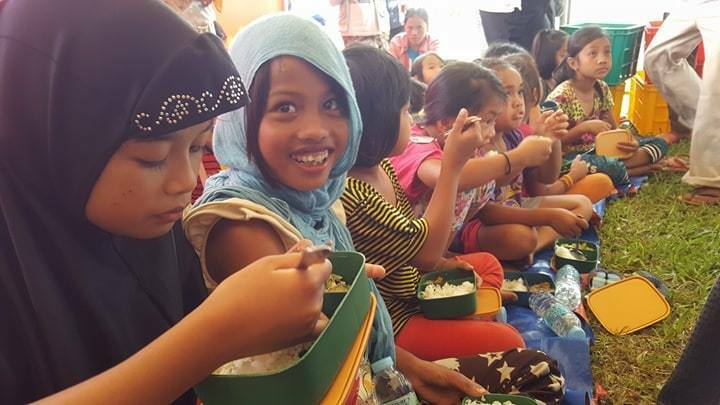 Help us raise kalinga meals for the kids of Marawi City. 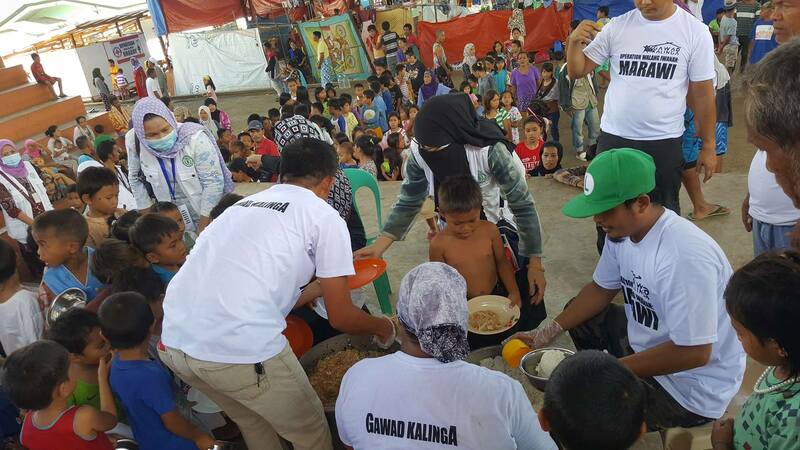 #KalingaMarawi: Since June 2017, Team GK, together with World Food Programme, DepEd ARMM, and LGU of Saguiaran, Lanao del Sur, has been feeding thousands of kids affected by the conflict in Marawi City. 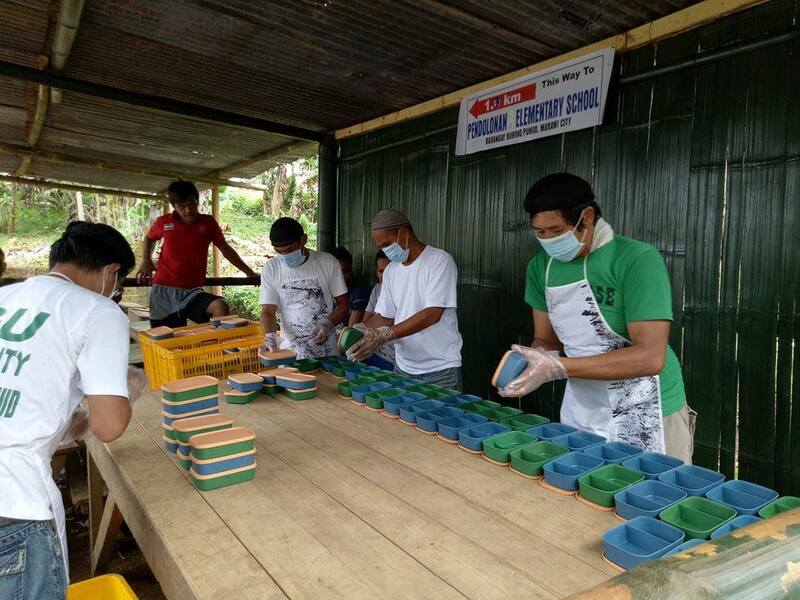 Our kalinga efforts went across boundaries, spreading love to communities where presence is most needed. 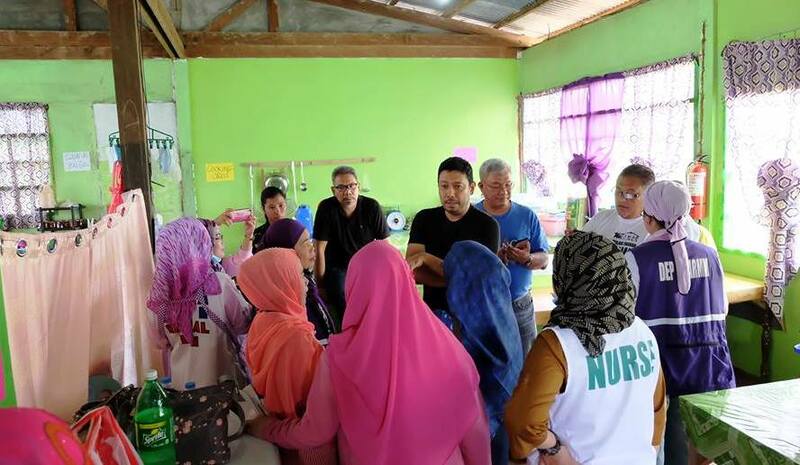 The work of caring in Marawi is just starting. We need more heroes who will walk with our brothers and sisters towards a peaceful generation. 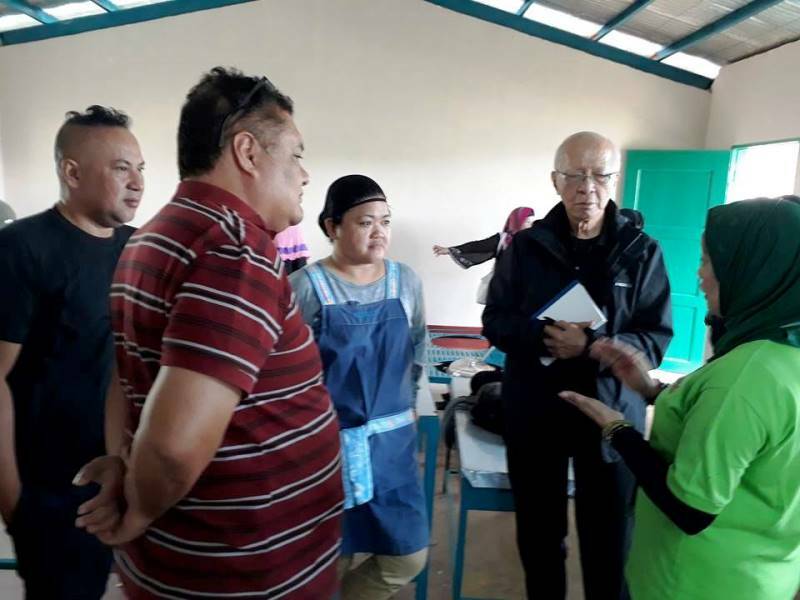 Grateful for GK USA and GK Singapore (Servants of the Lord and Philippine Bayanihan Society Singapore), our international partners, for sharing their resources in this mission work. Let us rebuild what the war has destroyed. Be a hero today, give now at www.gk1world.com/KalingaMarawi. They are the reason why we need to go beyond borders. To get out of our secured environment and comfort zone. I am a Filipino and they are part of my family, they are my children too. Kaya lagi tayo mag-Gawad ng Kalinga at yakapin ang kasabihang Walang Iwanan. 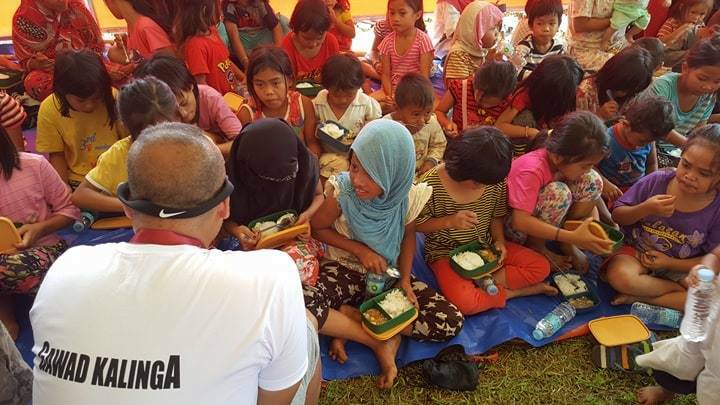 Jose Luis Oquiñena, GK ED listening to the stories of the real heroes of Kusina ng Kalinga, the volunteers. 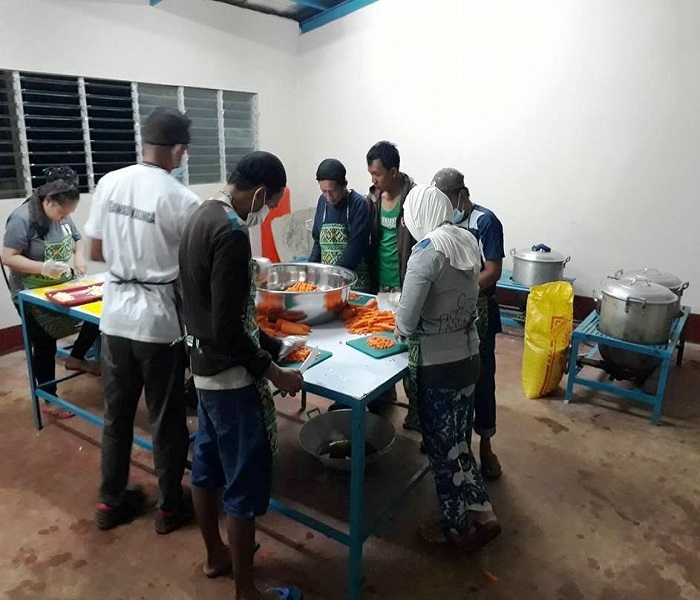 Some of them lost their homes due to the fighting, some came as far as Sultan Kudarat, and all over Mindanao to volunteer and make sure that thousands of kids gets a free hot meal everyday. 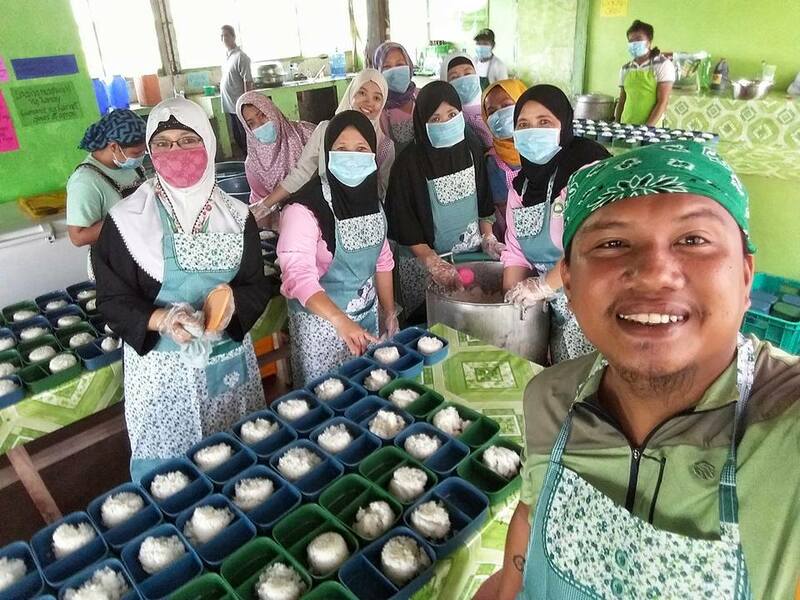 Before we left they said, "We can do more, we can cook more so we can feed more, just send us the ingredients." 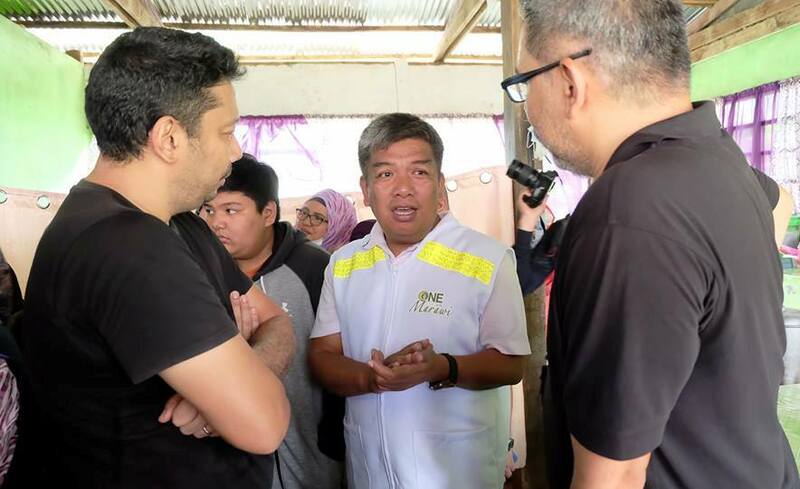 GK Executive Director Jose Luis Oquiñena together with ARMM Regional Governor Mujiv Hataman meeting with DepEd ARMM and Marawi officials for the expansion of the GK Kusina ng Kalinga that will feed 5,000 displaced kids from Marawi. Currently, we are serving 1,000 meals. Nobaisa put some charcoal on the stove. She is boiling water for the instant noodles for her family. 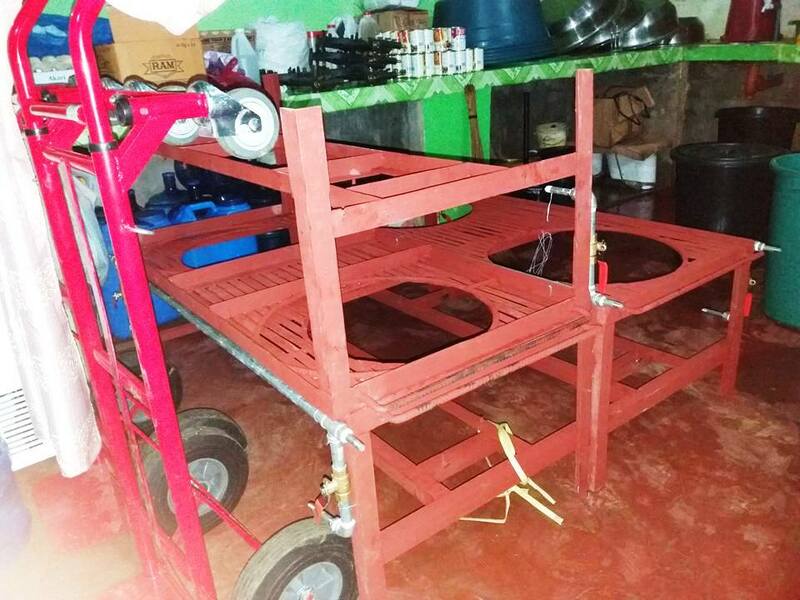 They rented this charcoal stove for ₱300. 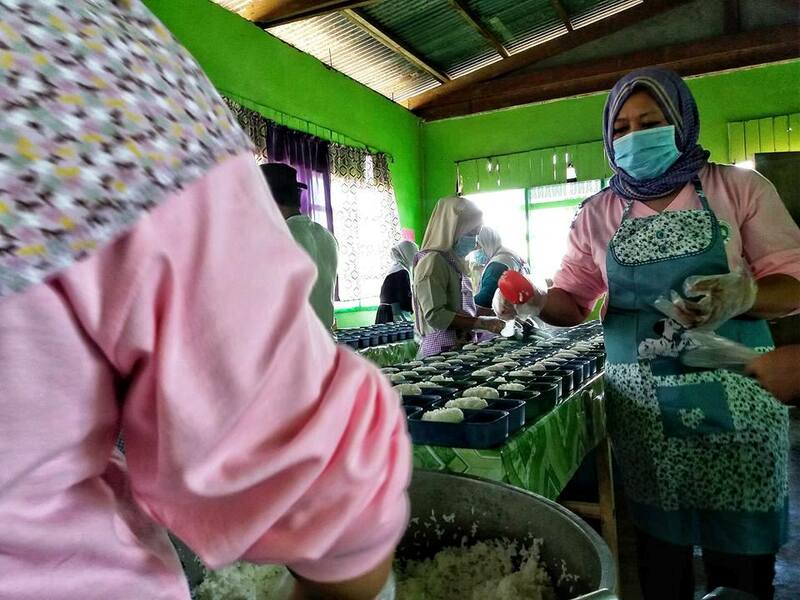 The instant noodles come from the relief packs given to the evacuees. They have been here for more than a month now. Nobaisa put some plastic wrappers on the charcoal to burn it faster. She fans hard with a plastic plate. Heavy smoke fills the air. No flame, still. 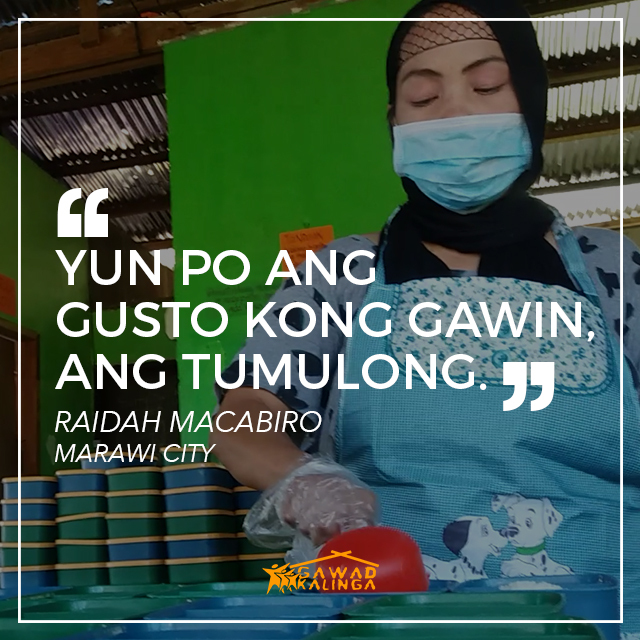 Her husband, Andy, earned a living as a tricycle driver in Marawi City. 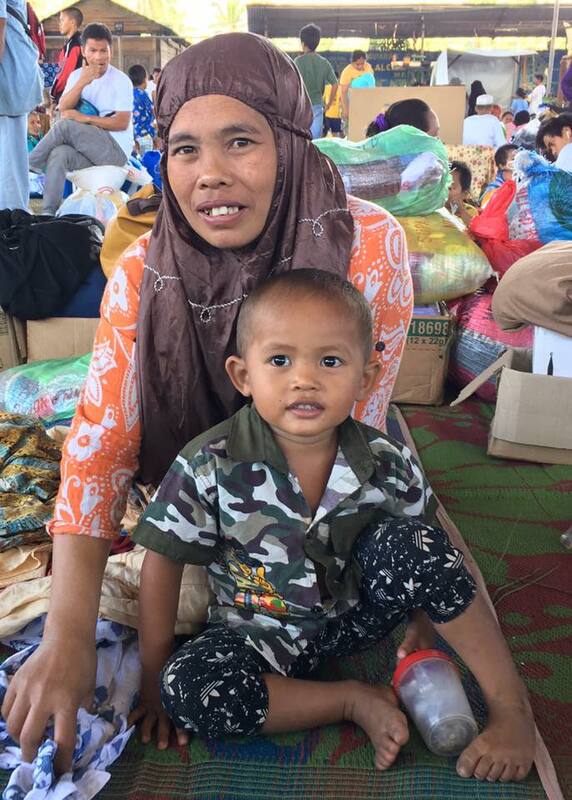 When the fighting started, Andy was able to immediately evacuate his family to Saguiaran, a town beside Marawi City. With his tricycle, he came back a couple of times to rescue some relatives who were trapped inside the war zone. He asks a lot of difficult questions on terrorism, airstrikes, Martial Law, hard life in an evacuation center, source of income, etc. Despair fills the air. I sit still. 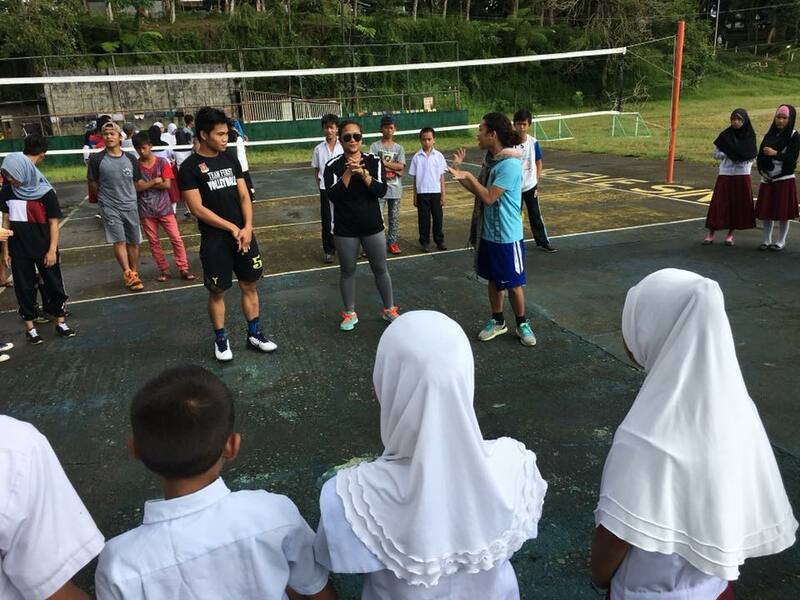 As a young couple, they left Marawi City in 2006 and moved to Metro Manila to try out their luck in the metropolis. For three years, earning a living was not easy. And it became much harder when Typhoon Ondoy striked and flooded Marikina City where they lived. 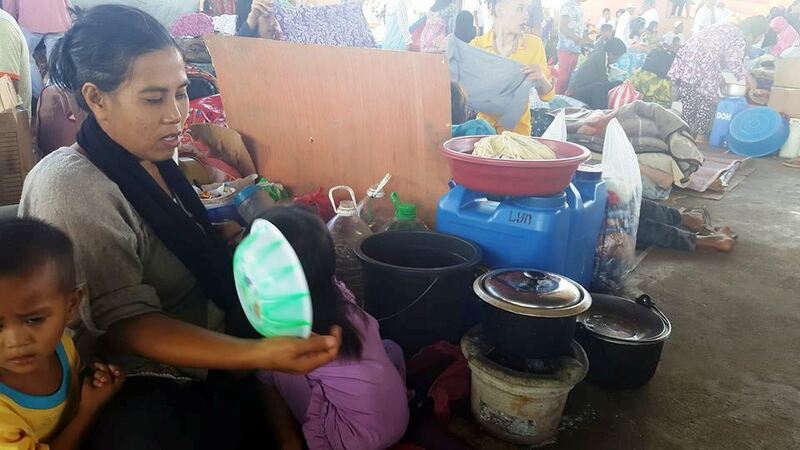 They were forced to live in an evacuation center for some time. 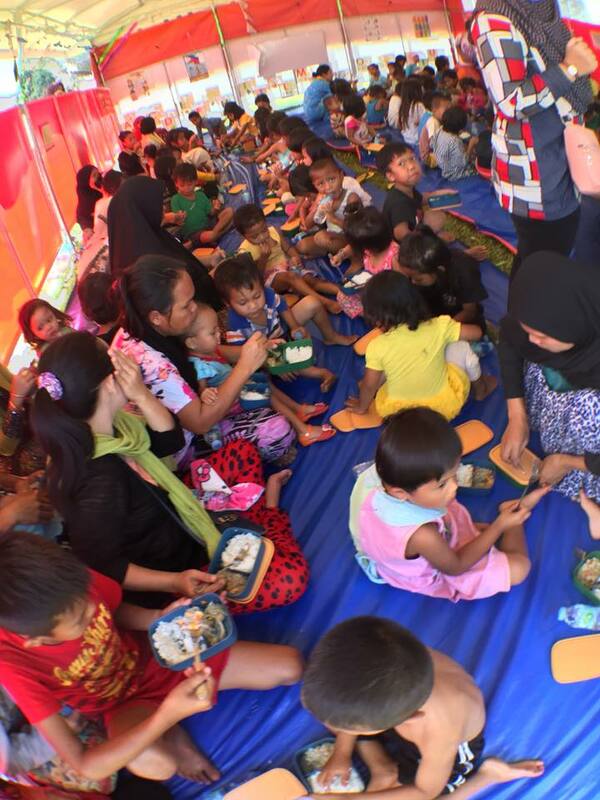 Life in the evacuation center was very difficult especially for their child. 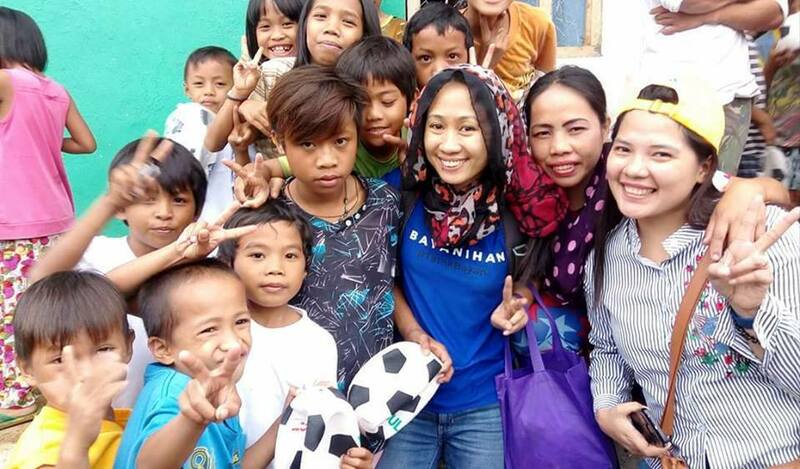 They decided to leave Metro Manila and went back home to Marawi City as soon they got the chance. 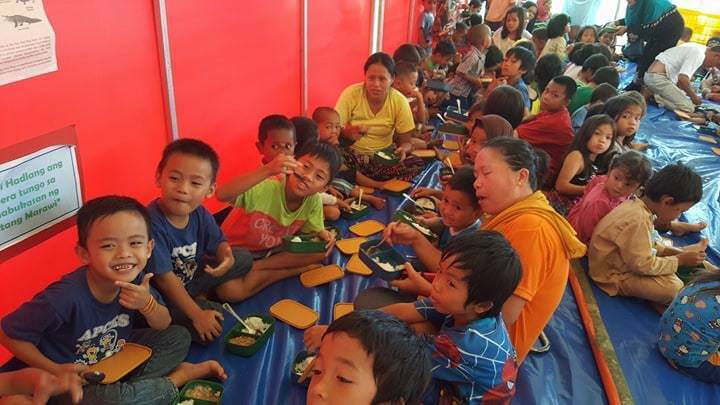 After almost eight years, with three small kids now, they find themselves again in an evacuation center. Unfortunately, going back home is not (yet) an option. They are not even sure if their house still stands. But in spite of all these, Andy is not losing hope. He believes that Allah will help them overcome this difficulty. Nobaisa put more plastics on the charcoal stove. She continues to fan hard with a plastic plate. More smoke fills the air. No flame, still. The least that we could do, which is to care, could be one of the things they need most right now. Let us help fan the flame of whatever hope is left in their hearts. 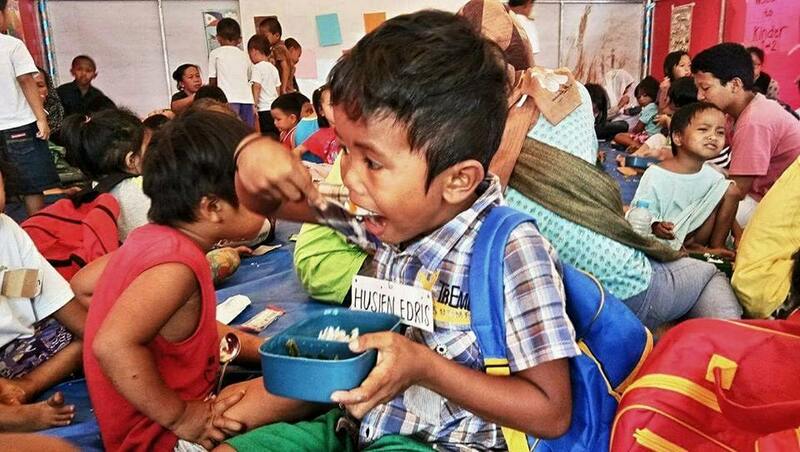 Let our warmth be felt by providing warm meals for their kids every day. Every piece of lunchbox will definitely breathe a sense of peace in the hearts and minds of many. 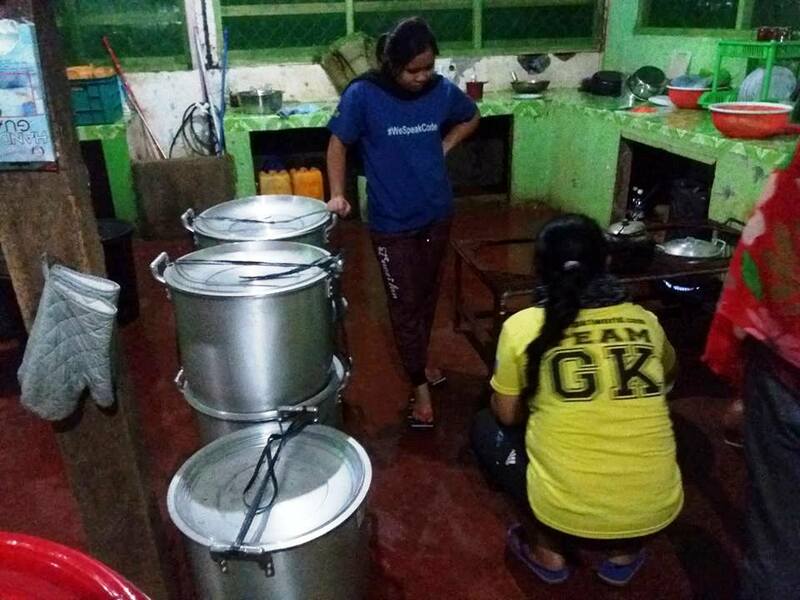 In Saguiaran, Team GK is now operating a Kusina ng Kalinga, a centralized kitchen that provides daily meals for kids in the nearby evacuation centers. 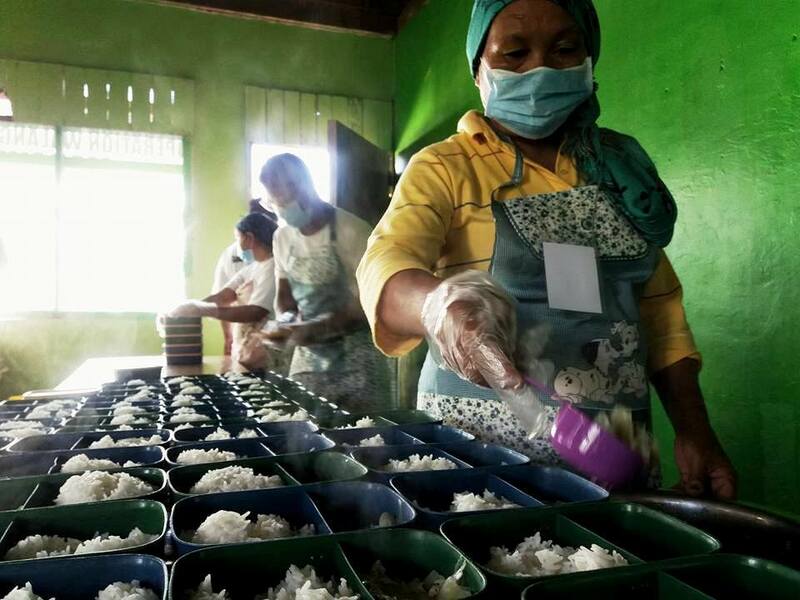 We hope to feed 5,000 kids daily for a year. You, too, can help by donating ₱15 per meal. 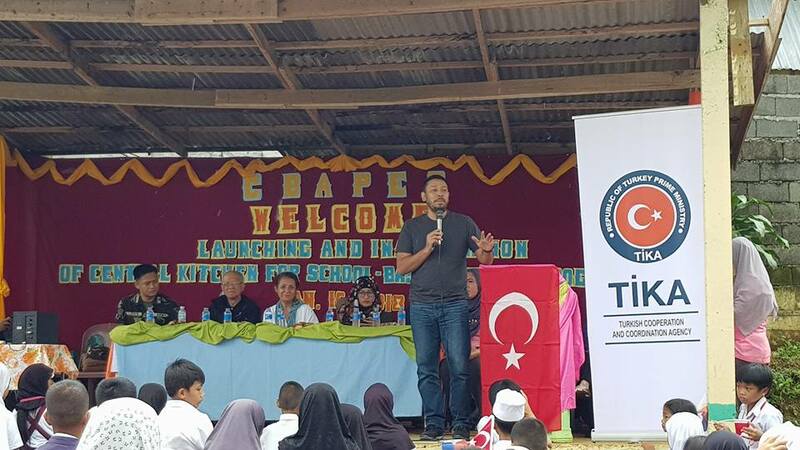 Dumating na po ang karagdagan naming kagamitan at nakahanda na po kaming magpakain ng 5,000 bata na mga mag-aaral ng Saguiaran Elementary School at mga batang galing Marawi na nasa Temporary Learning Spaces. Peace is costly, but it is worth the expense. 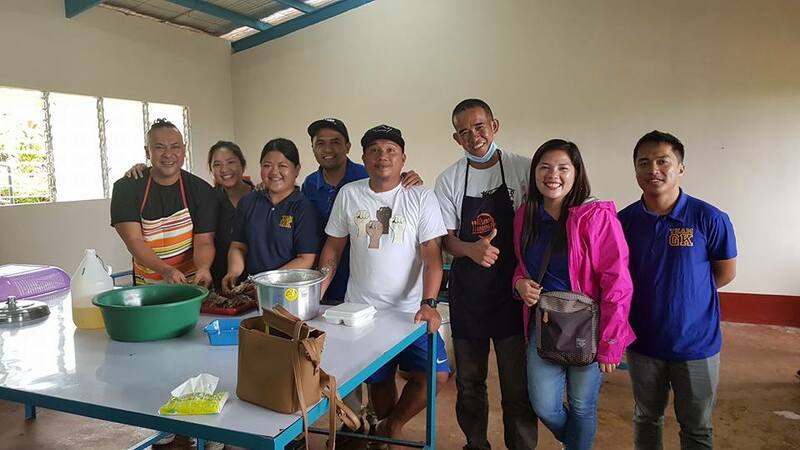 Our 9th day of serving hot and nutritious meals at Saguiaran Temporary Learning Systems. You can be a hero for just helping us raise 5,000 hot meals everyday. 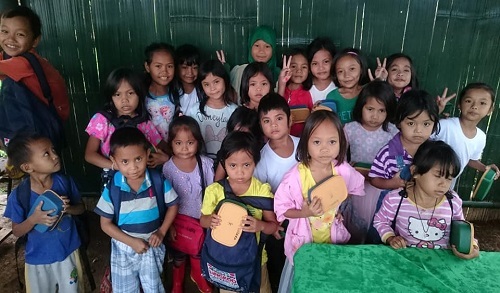 For just ₱15.00, these kids will experience love and care. 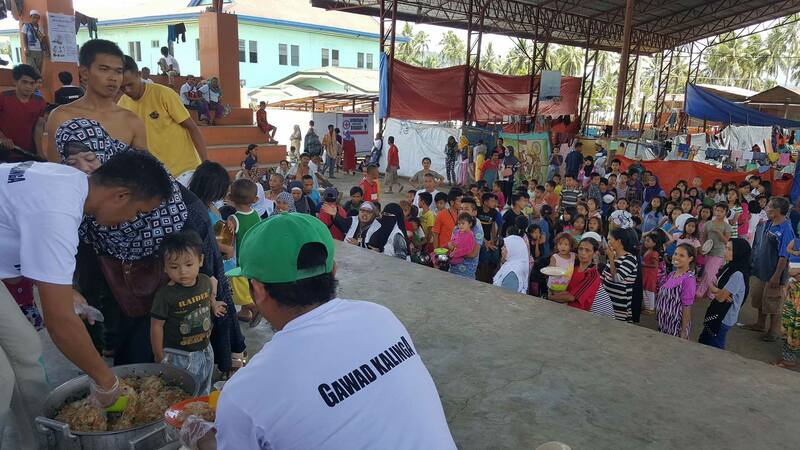 Tulong-tulong tayong magpawis para sa kapayapaan sa pamamagitan ng pagbibigay kalinga sa mga kabataang Maranao at Kristiyano na nasa Saguiran. Tayo na't sama-sama nating harapin ang bagong pag asa! 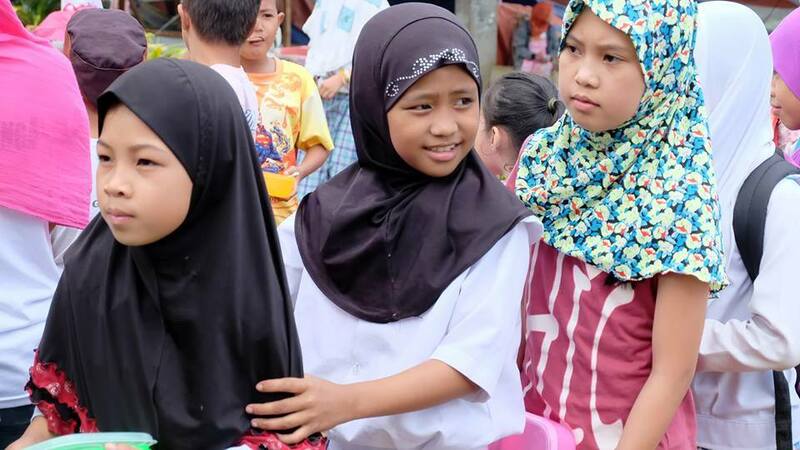 Ikawalong araw nang pamamahagi ng pagmamahal at pagkalinga sa Saguiaran, Lanao del Sur kung saan tayo ay nagpapakain ng mga batang Maranao at Kristiyano na naapektuhan ng gulo sa Marawi. 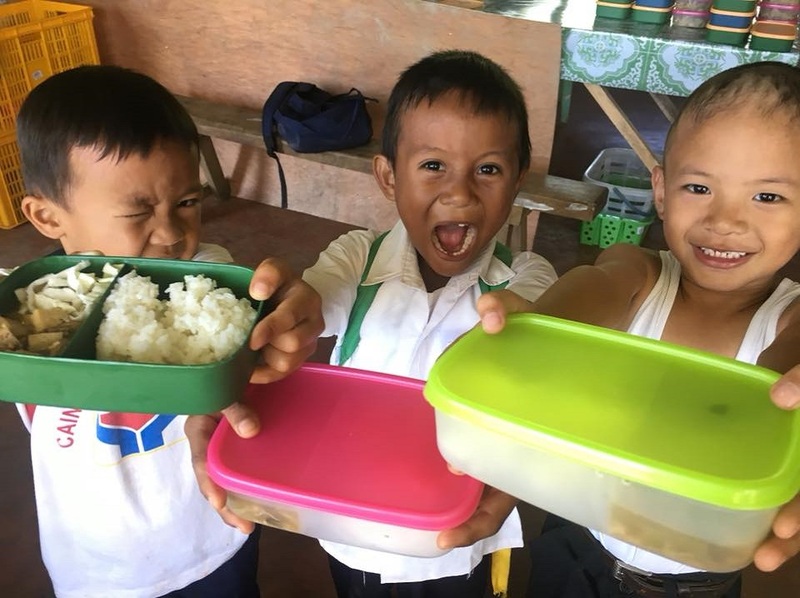 You can help us raise 5,000 meals everyday for a year! Your ₱15.00/per child, per day is a big help in making them feel loved and cared for. The more we sweat for peace, the less we bleed in war. Sa bawat ngiting ating naibabahagi sa kanila, panibagong pag-asa at pagmamahal naman ang uukit sa kanilang mga puso at isipan. Kung paano kayo makatutulong, pindot lang kayo sa link na to: www.gk1world.com/KalingaMarawi. Da a kambabaghaka! 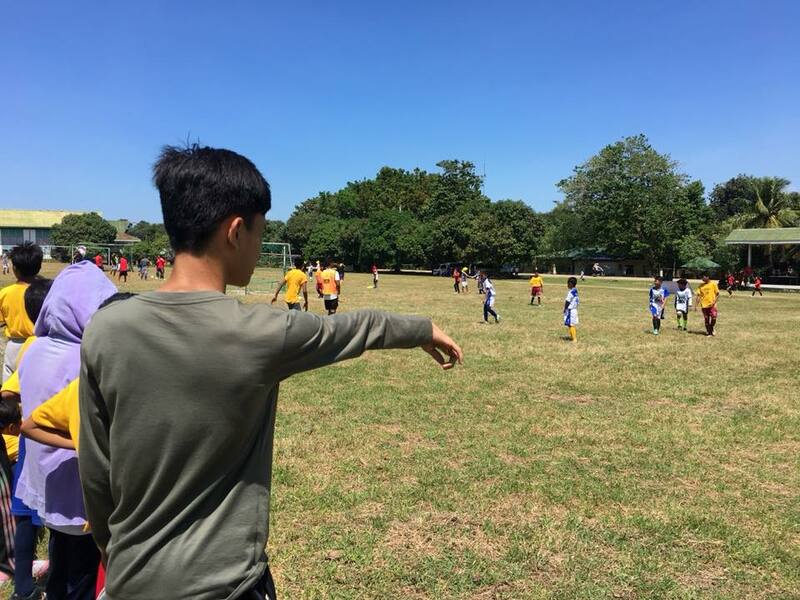 Ibig sabihin ay "Walang Iwanan!" 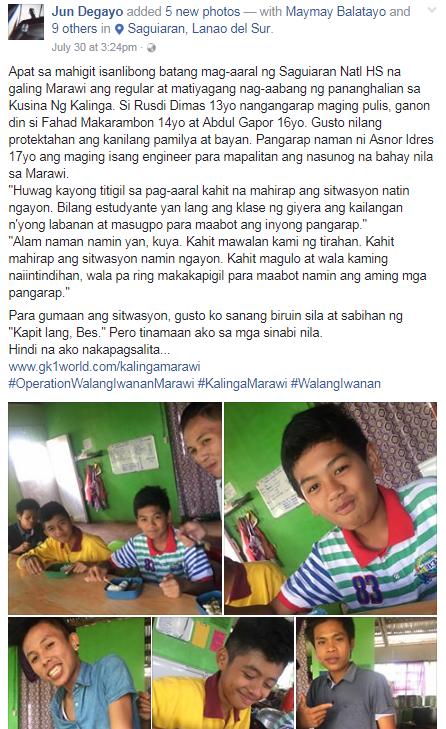 mula sa salitang Maranao. 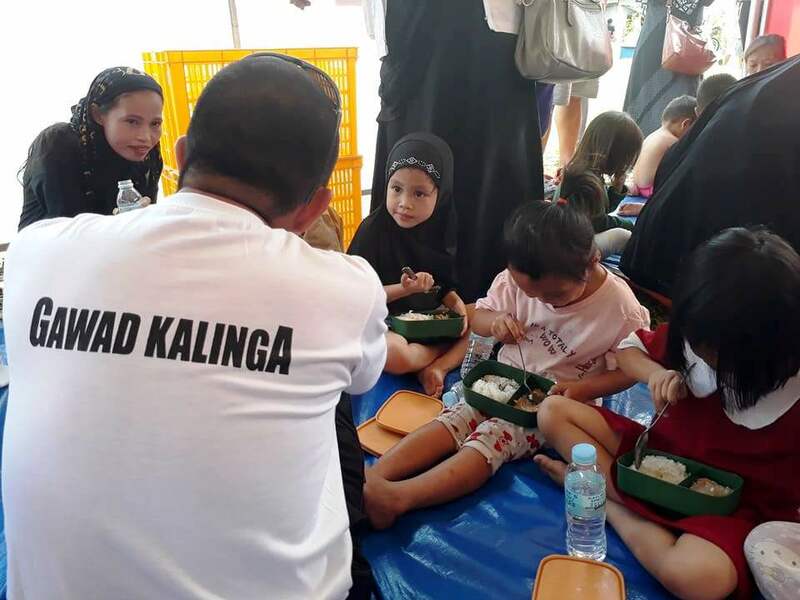 Samahan n'yo kami sa pagpapalaganap ng kapayapaan, pagmamahal, at kalinga sa mga kapatid nating Maranao na naapektuhan ng gulo sa Marawi. 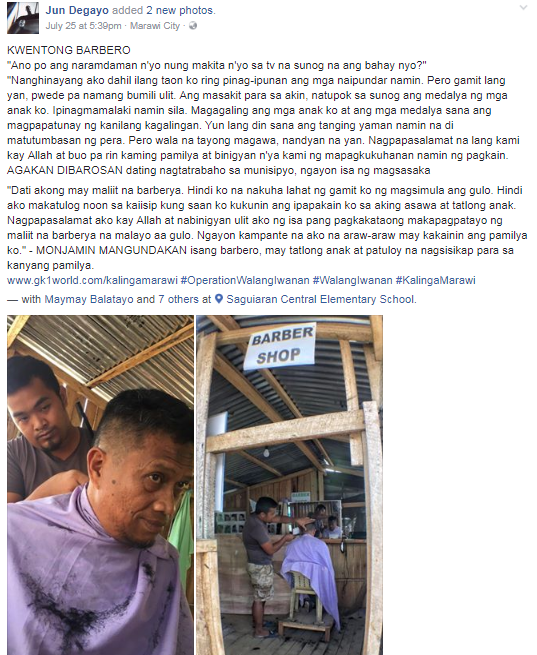 Hindi ito para ipakitang delikado rito pero upang ipakita na kapag tayo'y nagsama-sama, parating mayroong pag-asa. 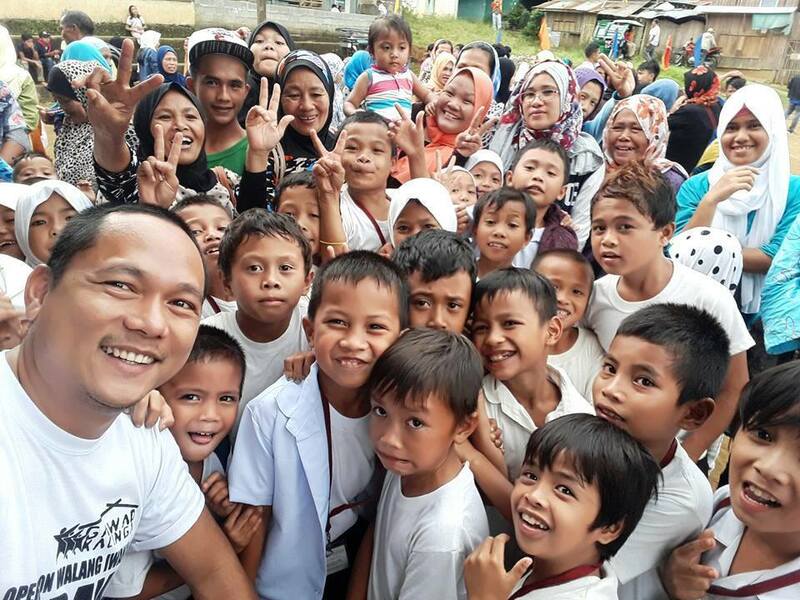 Kasama namin ngayong araw ang mga District Nurse ng Lanao del Sur 1. Maraming salamat po! 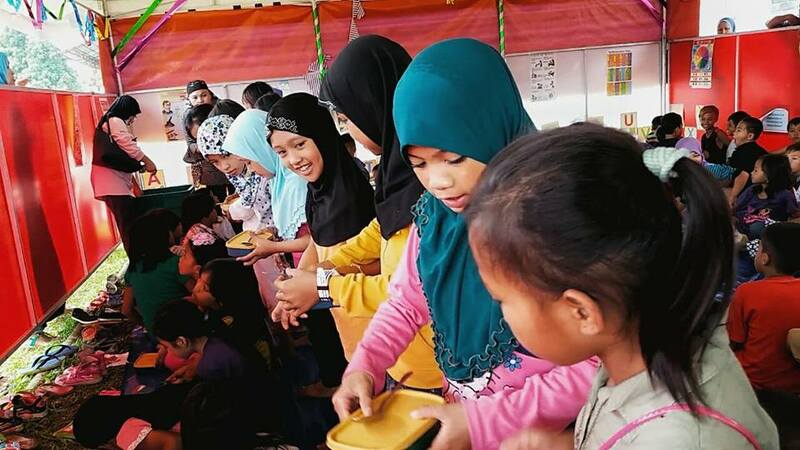 Around 4,500 families fled Marawi and evacuated to the neighboring town of Saguiaran to be far enough from the bullets and bombs but not quite far enough from the daily sound of gunfire and the sight of smoke rising from their now ruined city. Most of them fled with only the shirts on their backs and now face a very uncertain future for themselves especially for their children. 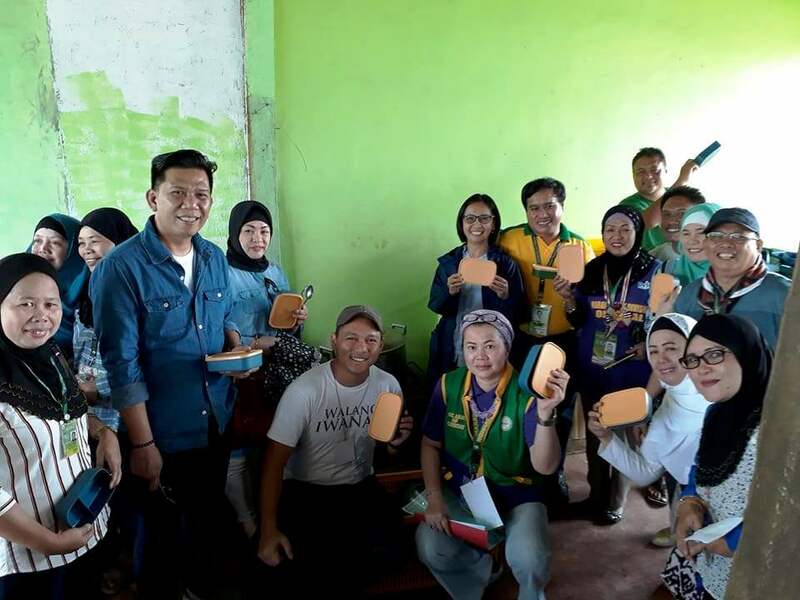 The violence of war in Marawi was met and matched by a mighty force of goodness in Saguiaran. This 4th class municipality opened its doors to an evacuee population that doubled the number of its citizens. They shared their water, homes, food, mosques, and whatever space is left for families to stay safe. Mayor Macmod Muti practically slept in his office these past month to oversee relief distribution. 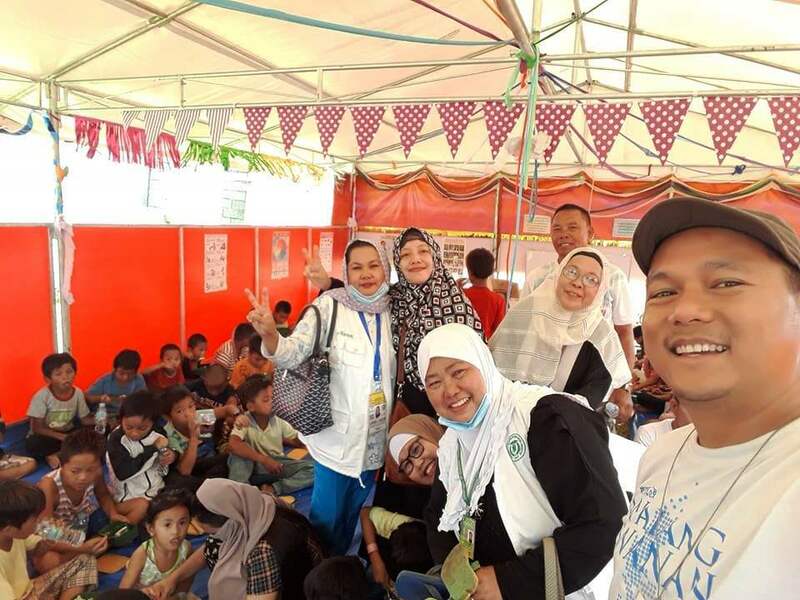 And on the feast of Eid al Fitr, teachers, nurses, and DepEd officials all showed up despite the holiday to launch the school-based feeding program that will feed up to 2,500 learners every school day until December. 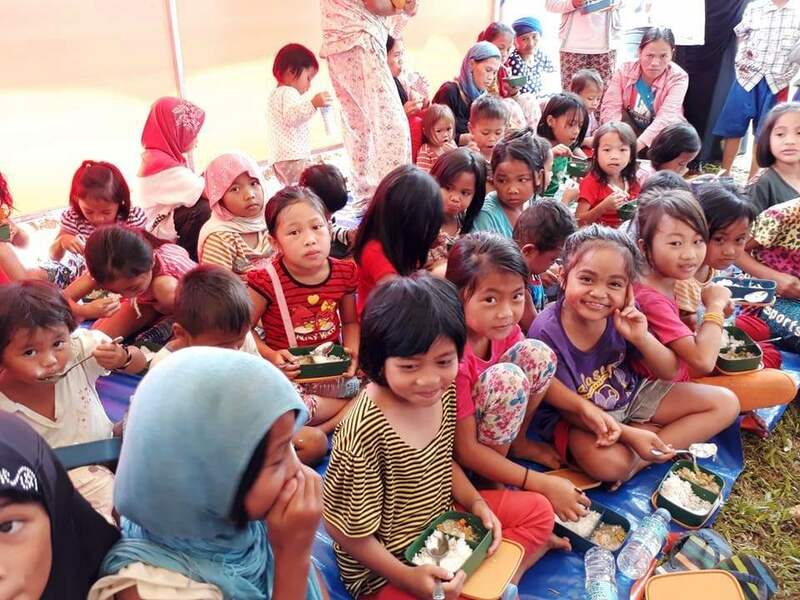 Today, a thousand kids were fed because of handful of heroes showed up. What war has destroyed, caring and sharing will rebuild. And as we left the base of operations today, these were the only words that echoed deeply in my soul: "The more we sweat for peace, the less we bleed in war!" Let us sweat for peace together! 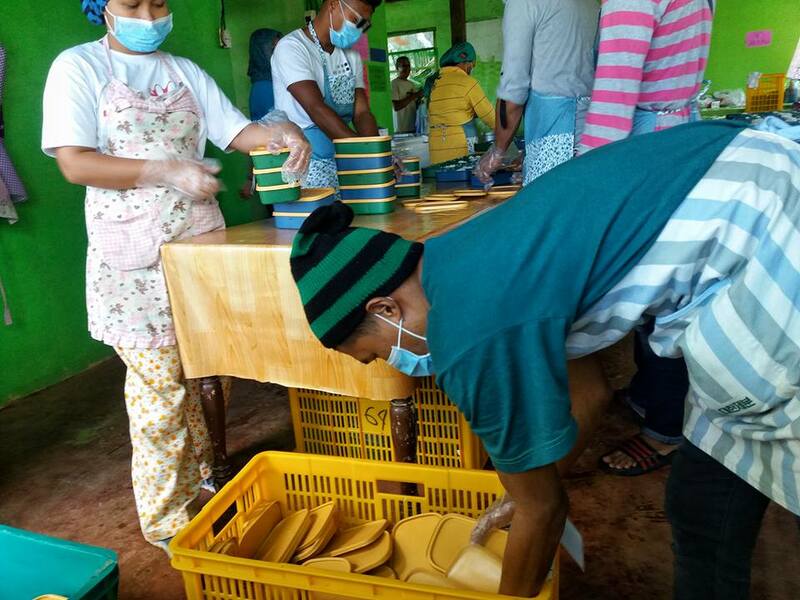 Help us rebuild Marawi beginning with making 5,000 peace meals available for the children in Saguiaran. 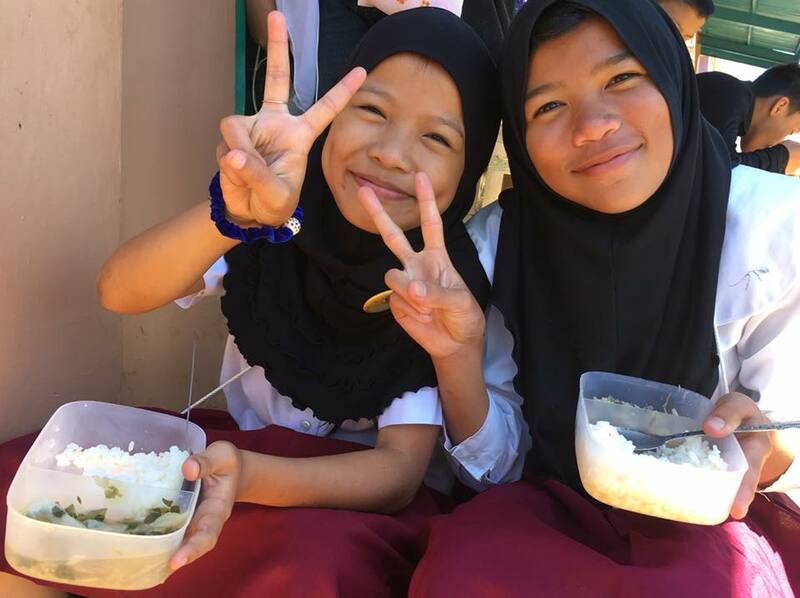 Kasama ng Saguiaran LGU, DepEd ARMM at World Food, isanlibong mainit na pananghalian ang inihahain para sa mga bata at gutom na pamilya sa araw na ito at limanlibo sa mga susunod pa na mga araw. 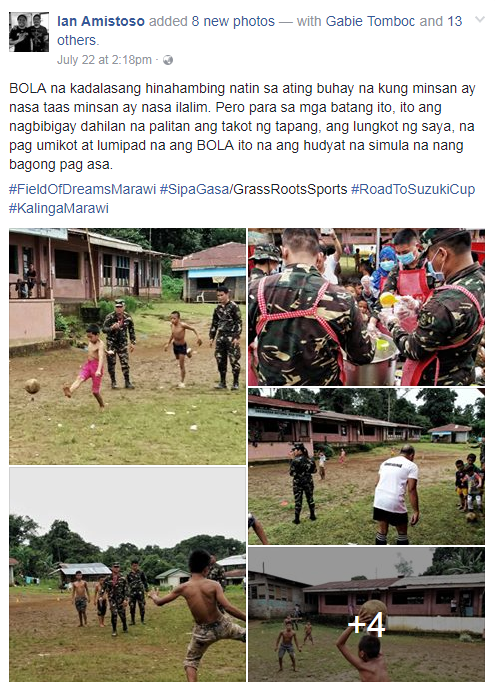 Susundan ito ng iba't-ibang programa ng Gawad Kalinga para sa mga "bakwit" ng Marawi sa mga susunod na linggo. 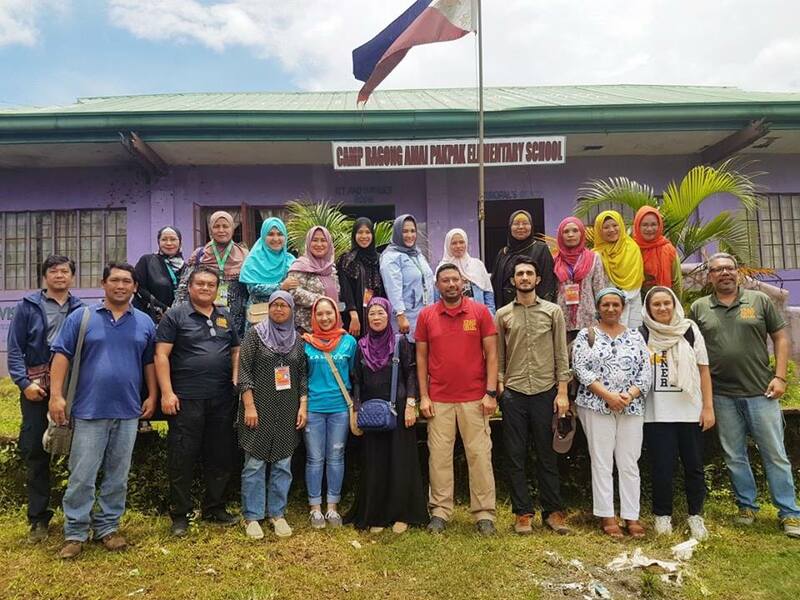 Together with DepEd ARMM and the Local Government of Saguiaran (6km away from Marawi), Team GK established our first forward base of operation for relief and reconstruction. As the conflict enters its final phase of armed resolution, we salute our soldiers and honor those who risked their lives to give comfort and relief to all affected families. Let us do our share on the rebuilding. Care and share to BUILD SOLIDARITY, SUSTAIN HOPE, and RAISE THE PEACE GENERATION! 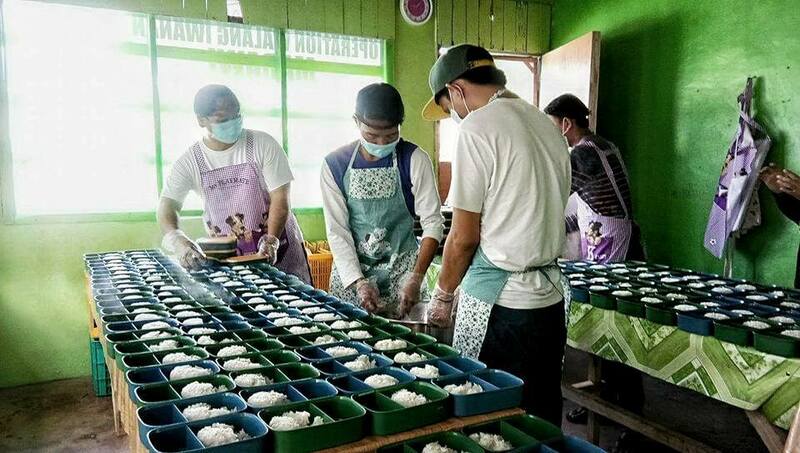 We are organizing our Kusina ng Kalinga (5,000 meals per day for one year). 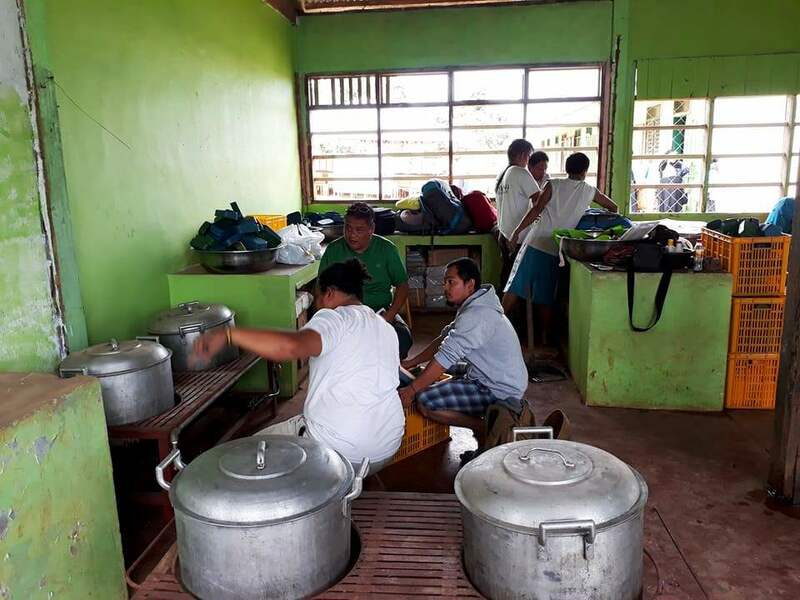 You can help by donating ₱15 per meal. Help us raise funds for the relief and reconstruction of Marawi City. 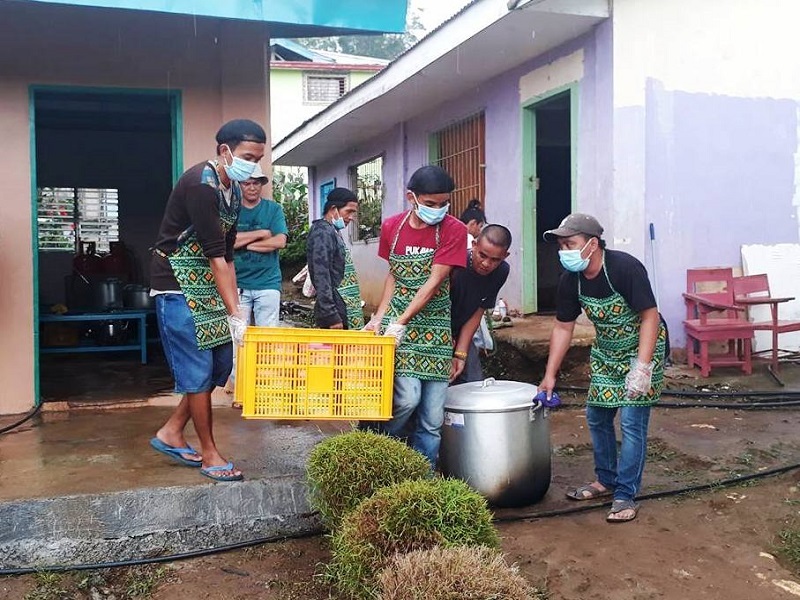 Deposits that are unconfirmed or unidentified for one month will be given to the ongoing campaign or to the community where it is needed the most.